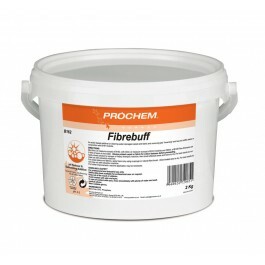 Prochem Fibrebuff is an acidic based additive for cleaning water damaged carpet and fabric and removing jute "browning" and tea and coffee stains in conjunction with Prochem Oxibrite. pH reducer and debrowning additive. For use on carpets and fabric. Removes jute browning, tea and coffee stains. Contains a pH of 4.5. 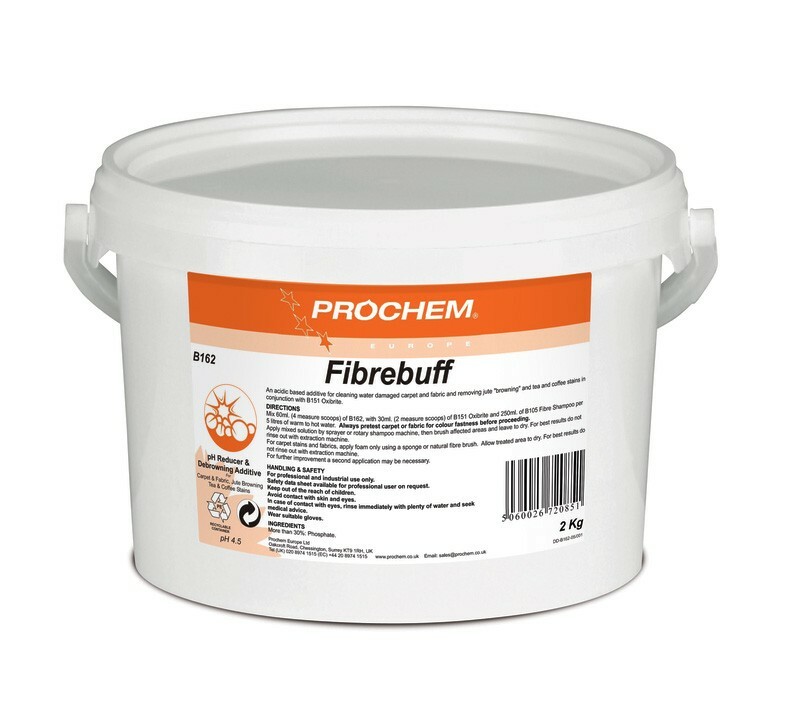 Mix 60ml (4 measure scoops) of Prochem Fibrebuff with 30ml (2 measure scoops) of Prochem Oxibrite and 250ml Prochem Fibre Shampoo per 5ltrs of warm to hot water. Always pretest carpet or fabric for colour fastness before proceeding. Apply mixed solution by sprayer or rotary machine, then brush affected areas and leave to dry. For best results do not rinse out with extraction machine. For carpet stains and fabrics, apply foam only using a sponge or natural fibre brush. Allow treated area to dry. For best results do not rinse out with extraction machine.